Chorus and Network for Learning (N4L) have launched a school technology upgrade programme, designed to make New Zealand’s schools among the most technologically-advanced in the world. The first phase of the initiative with Crown company, N4L, sees Chorus piloting a proof of concept trial with Haeata Community Campus in Christchurch to extend the school’s internet service out into the homes of students. Secondly, Chorus will partner with N4L to bring Gigabit broadband direct to the classroom. Currently most schools use one broadband connection and share this using Wi-Fi access points in the classroom. In the meantime, the telco is providing an upgrade that ensures every school on its part of the N4L network has enough bandwidth to operate without any constraint, with a new fibre service specifically designed for schools. 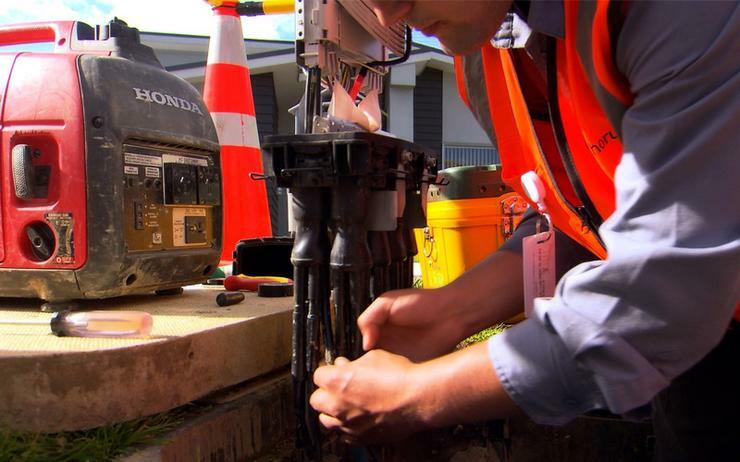 “Our children are at the heart of a massive technological change and New Zealand’s world-class fibre network is at the centre of this,” Chorus CEO Kate McKenzie said. As a country, McKenzie said it was important to keep up with this demand, while also examining “innovative ways” that future-proof New Zealand to be a world-leader in this space going forward. “The great thing about fibre is it allows children anywhere in New Zealand to benefit from world-class technology, whether they’re in Kaitaia or Bluff,” McKenzie added. As part of a proof of concept trial, Chorus is also undertaking a programme of work to look at options to potentially solve the issue of students who are unable to access high-quality broadband in the home. The proposed solution uses Chorus’ existing street and network infrastructure. As a result, Chorus will start an initial trial with Haeata Community Campus before Christmas to provide Wi-Fi access into the homes of the school community, free of charge. If successful, McKenzie said the telco will look to expand the trial to other streets in the area, working with N4L to cover as much of the school’s catchment area as possible. Once the Wi-Fi network is up and running, students will be able to log-in from home using a school-provided device. According to McKenzie, students will have unlimited internet access without having to worry about data caps and can stay safe in an online environment provided by the school and N4L. “We need to bridge the digital divide that sees some students unable to access the internet from their home,” McKenzie added. Furthermore, McKenzie said Chorus has played a key part in enabling the digital transformation of New Zealand’s schools, rolling out fibre to about 1900 schools over the last five years. “The Ultra-Fast Broadband initiative has been a very successful programme, providing New Zealand with some of the best infrastructure in the world for the sort of transformational education New Zealand’s students are going to require in the coming decades,” McKenzie added. McKenzie said that a single fibre connection per school shared among classrooms is not enough capacity to allow for future consumption, such as cloud-based applications and virtual reality. As a result, a proof of concept trial is underway with N4L to get a 1Gbps fibre connection direct to each individual classroom on Chorus’ network - this will give far greater internet data capacity and speed per student. The trial will take place in ten schools in the Far North and in parts of rural Gisborne. In the meantime, Chorus is providing an upgrade that ensures every school on the N4L network has enough bandwidth to operate without any constraint, for the same price that N4L pays today. “When we started the UFB programme in 2011, 50Mbps and 100Mbps fibre plans seemed like they would provide enough speed to cater for schools’ requirements,” McKenzie added. “But clearly with the explosion of high data-usage applications, sharing 100Mbps across a school will not meet long-term demand. N4L CEO Greg Woolley said N4L’s goal is for equitable access to digital technology for every student in New Zealand regardless of location or socio-economic status. “The initiatives announced today support N4L’s aspiration to achieve digital equity for Kiwi kids,” Woolley added. “Removing speed constraints and simplifying technology in schools, especially for those in rural and isolated areas with little or no ready access to technical support, is an important step along the journey to barrier-free access. For Woolley. delivering wireless access at home for students at Haeata Community Campus will “considerably help” reduce such inequity for children within the trial area. “It’s critical we continue to work together with our partners like Chorus, planning and trialling new innovative programmes so we can ensure the 810,000 students and teachers using the Managed Network can learn and teach in a way that meets their needs now and in the future,” Woolley added.